Sunday, 23 December 2018, 9:21a.m. A Chatham Islands woman has survived an attack by a family pig hunting dog thanks to a brave bystander and an emergency rescue flight to the mainland for treatment. 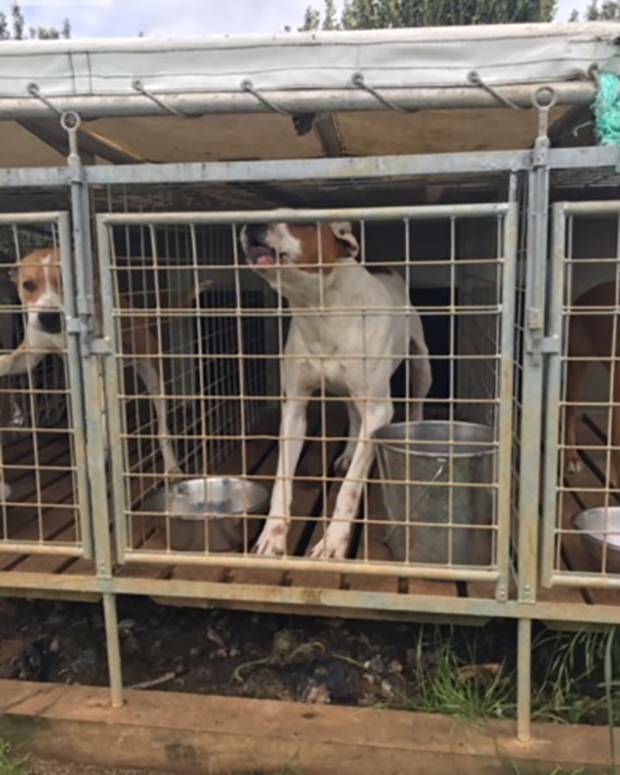 Rose Page was left bleeding and passing in and out of consciousness after one dog turned on her as she tried break up a fight among her dogs in Waitangi, the main town on the Chatham Islands. After weeks of hospital treatment she returned to the Chathams last week in time for Christmas. Her rescuer, Valentine Croon, a fisherman, said when he intervened "a white pitbull-bull mastiff cross type of dog" had a powerful grip on her arm and was dragging her. "That dog was not going to let go until it either chewed her arm off or, I don't know, or killed her." "She was in and out of consciousness, fainting, screaming. Her arm was just hanging. "Yeah, that was a pretty serious situation that one mate." Page's injuries were so serious a medevac flight from the mainland took her to Christchurch Hospital that night. She was later transferred to Middlemore Hospital for specialist care. "I understand she started bleeding. They weren't sure they could save her arm and at one stage they nearly lost her," Croon told the Herald On Sunday. Croon was with his children, aged 6 and 8, at the town petrol station when the drama unfolded on November 14. Page drove by with five dogs on the back of her vehicle and stopped at the beach nearby. When she opened the tailgate the dogs piled out and four of them started attacking this one little black dog, said Croon. "She tried to break them up. She had a rope in her hand and she was yelling and screaming." Croon said it took him about a minute to get to her. "She was lying on the sand and this big white dog had her arm. It had dragged her from the front of the truck. The dog that mauled Rose Page. "With my fingers I felt its windpipe and I squeezed it as hard as I could and then it let go. "[Then] she jumped in her vehicle and my two kids were in my vehicle. I told my son to lock the doors while I took her up to the hospital. "There was a lot of blood." Croon said he and his children had nightmares about the incident. The dog involved was put down about a week later after Croon identified it. A dog belonging to Rose and Robin Page that was not involved in the attack was put down earlier. "We were told the dog that mauled Rose had been put down but then I saw it being taken for a run and so I told the policeman," Croon said. Chathams police constable, Chris Mankelow, confirmed two dogs owned by the Pages were put down and the dog that mauled Rose was destroyed after Croon identified it as the one involved in the attack. The other dog had bitten the owner, Robin Page, in a previous incident, Mankelow said. "There may have been some confusion as to which dog was involved in the attack." Robin Page told the Herald his wife had recovered but was not available to talk. Page, a horse racing trainer, asked whether the Herald would like to sponsor the local races. "We need a hefty sponsor for the races before I'm even going to talk to you mister."